Beige is pushing out gray as the hottest neutral color tone in homes heading into 2017, according to several color forecasters. Beige had once been cast aside in home design as too boring. But the beiges gaining popularity again and some of the newest shades are far from boring, if paired correctly. Beige comes in many tones, dark and light. Take a look at Sherwin-Williams’ 2017 Color of the Year: Poised Taupe (SW 6039). This brownish-gray color has plenty of contrast to help make the whites in the room pop. Many beiges are more subtle. And it is true that too much of a softer neutral tone of tans could lack the same pizzazz. How can you spice up your beiges to avoid those beige blahs? 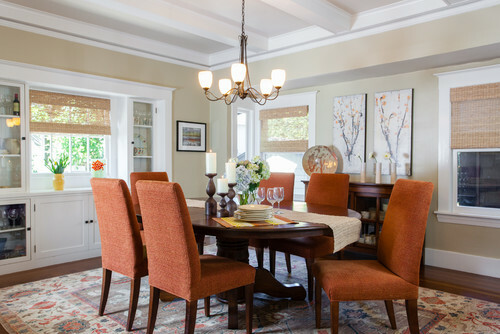 A recent article by contributor Janet Dunn with Houzz offers tips on modernizing a beige backdrop. Try bolder colored accessories. Make it pop up against higher energy colors that you bring in through accessories, like pillows, rugs, artwork, vases, or even chairs. Weave it in with browns. Yes, beige and brown can go together in a décor scheme. Just make sure you keep the tone differences enough to add depth and variety to the shades of browns you mix. Pair it with black and white. Add the contrast of black with some white to update a beige color palette. You’ll give a room a more modern edge. Try it with some pastels. Beachy brights, highlights of white, and pale aqua accessories or furnishings may also help to modernize up the beige walls. Blend in some texture. Use a variety of textures so the neutral color backdrop doesn’t start to feel stale. For example, metallic, velvets, and natural linens can help give the beige walls a more updated feeling. These color schemes are terrific! How could they ever be out of style? 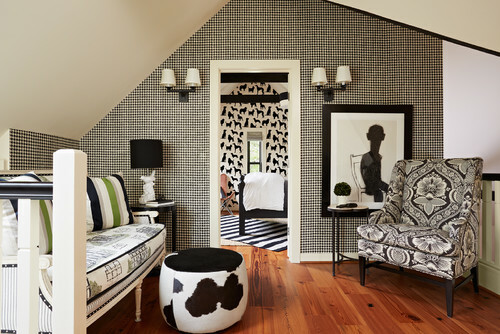 Pairing the scheme with black and white is popular, but it still doesn’t lose. I think this reflects the broader trend of embracing natural finishes and colors: wood tones are in, linens, and raw textiles. 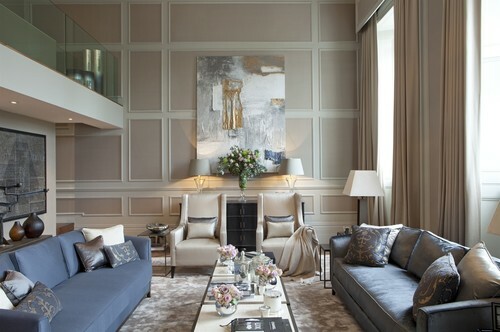 Beige, unlike grey, adds that same sense of natural warmth that greys and whites just don’t give. Easy to add fun accents color and change with the season – turquoise blue, cherry tomato, even violet! Beige is a fairly enduring traditional color for home interiors but butter is a more popular color in our area where winters are very rainy, cloudy and gloomy. A butter yellow color does wonders to brighten up and give warmth to a home on these types of days. All nice photos with neutral accents and great patterns!